Good morning crafty friend! It’s going to be the first day of Spring soon, and I don’t know about you all, but I am ready! 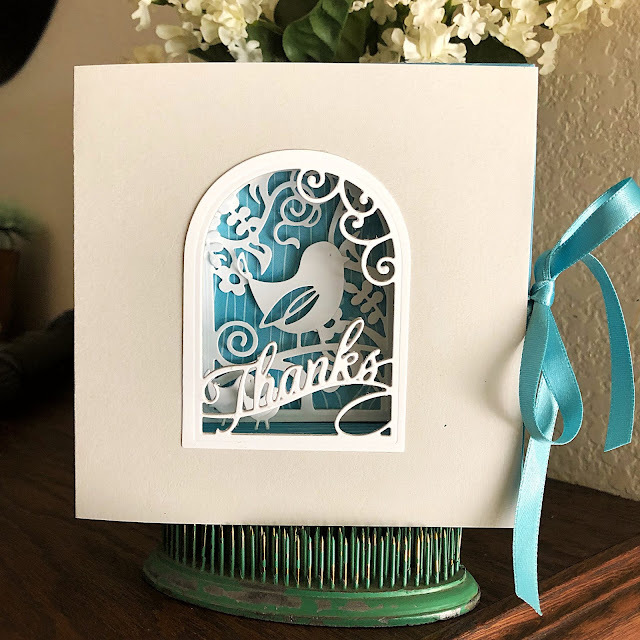 Today I am going to show you a sweet little Spring Thank you card made with the newest coolest dies! This set of dies makes a 3 dimensional frame. There are all sorts of things that you can do with it. The name of the collection is called the Shadowbox Collection from Becca Feeken. Shapeabilities Adjustable Shadowbox Frame with 1" Border Etched Dies Shadowbox by Becca Feeken is a set of five dies including a left-side and a right-side each of the straight edge border frame and mitered edge border frame, plus an accent piece. The card I made is sort of like a book. 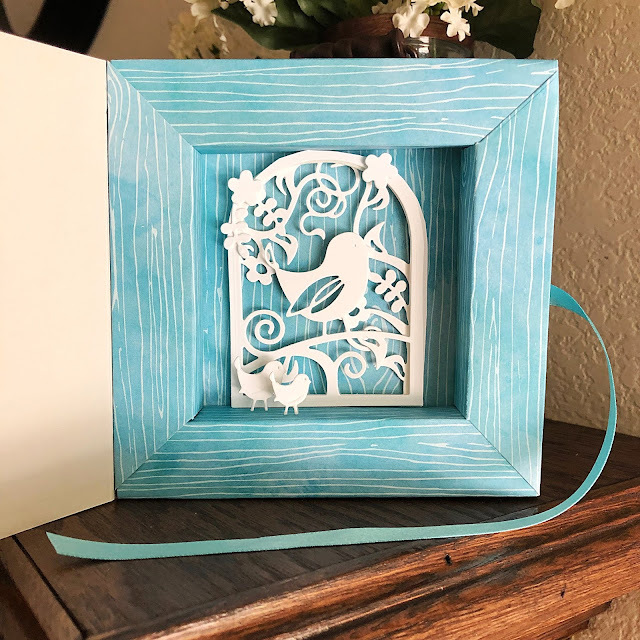 I created the frame from a piece of 12x12 patterned scrapbook paper. To create the frame: cut two each of the border frames. The distance between the two matching dies determines the length of the border frame. (For a 6 x 6-inch frame, cut two 6-inch from each of the border frames. A 5 x 7-inch frame, cut two 5-inch straight edge border frame and cut two 7-inch mitered edge border frame.) Fold the frames into a tube and adhere, place adhesive on tabs and create the frame. For the back, measure the frame, trim cardstock and adhere to back. Die-cut Accent Piece for added decorative element. I made the little scene on the inside of the frame using thee Shapeabilities Layered Sweet Birdie Thanks Scenedies. I thought they were perfect for Spring! I put the two bottom layers inside the frame using thin strips of foam tape. Then I cut a few extra birds and flowers and used them on the frame also. There are so many possibilities with this frame die set. For the cover of my card/book, I die cut the top piece into the cardstock. Now, you can do this a few different ways. I measured the distance from the edge of the frame and used that as my guide where to cut. You could also just use a larger piece of paper to cut it, and then trim it to fit your piece. Either way will work just fine. I added some ribbon as a closure to my card. I decided to keep this really simple, yet elegant. I will admit, when I first looked at these dies, I was a bit intimidated, but the frame was super simple to assemble…trust me, I did it, so can you! Hi there friends! 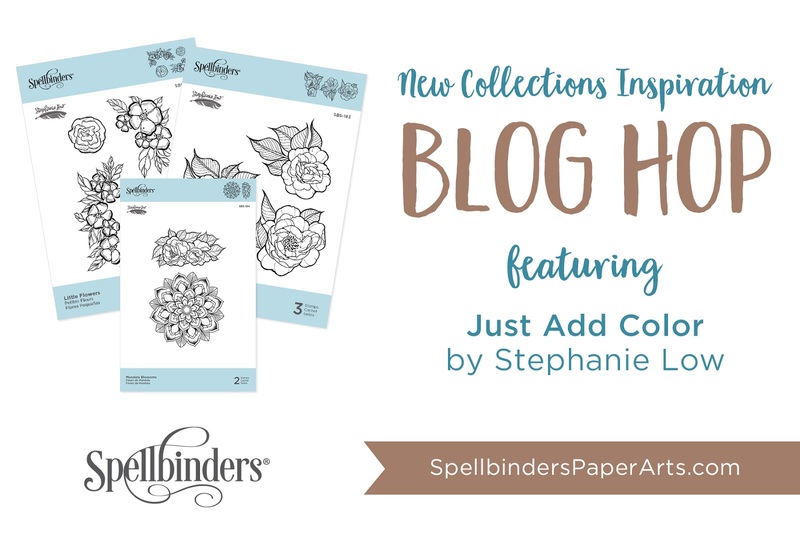 I'm here today to share the new Spellbinder's Large Die of the Month kit for March. This month, the kit features a really fun and unique pop up die set that makes an adorable flower garden. This kit has a lot of pieces and is very versatile. There are the pop up pieces and also a bunch of flowers and stems that are super fun to customize. The pop up pieces have a bunch of flowers and greenery. There are 2 dies with cut out floral panels and greetings. For my card today, I cut out the "from me to you" panel piece out of watercolor paper. I then watercolored it with a messy watercolor technique. I mounted it on some kraft colored card stock, and set it aside. I created a little watercolor wash on my card panel and that served as the front of my card. And now for the inside pop up feature! I cut out two of the flower box dies, and then scored the kraft paper to look like a wooden plank. I cut out the pop up pieces from kraft paper. Then I cut a bunch of flowers and stems from water color paper. I used some liquid watercolors to color all the flower pieces and then I assembled all the flowers for my garden box. I mounted the flower garden box on the fold of the card, and basically, I was done! I love how this turned out. So pretty and fun! Anyone would love to receive this card. 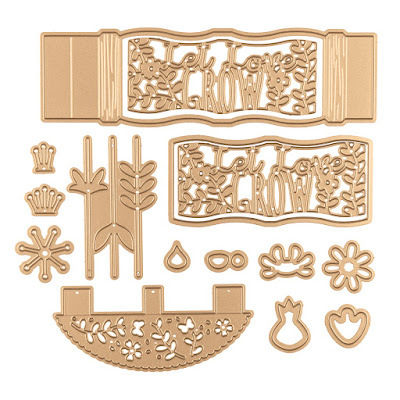 Did you know that Spellbinders has all sorts of kits for different budgets? If you are interested, check them out below. 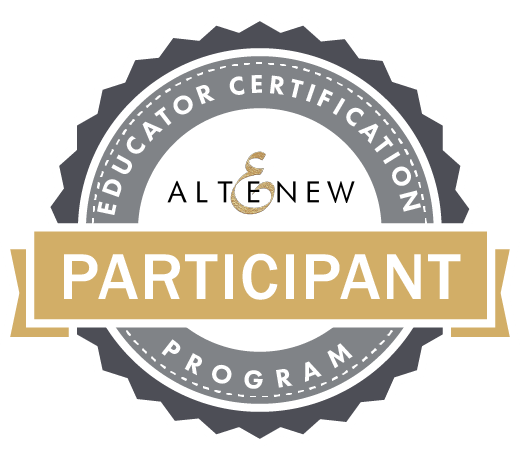 (affiliate links used at no cost to you) Thank you so much for your support. Hi there crafty friends! Today I'm part of a blog hop showcasing some beautiful new stamps from Spellbinders designer, Stephanie Low. You probably arrived here from the fabulous Virginia Lu's blog. I'll include the entire list down below, in case you are starting here, and also read on for the giveaway. showing just a few here today. I'll have more in the coming days on my social media accounts. The name of the collection is called Just Add Color...and that is exactly what I did. I love coloring with my Copics, and these images are absolutely perfect for that! For this card, I stamped a row of Daisies from Loves Me, Loves Me Not stamp set across the bottom of the card panel and colored them with Copics. I added some extra interest with a white gel pen. I trimmed down the panel and added a simple greeting to the bottom. I finished with some dew drop embellishments for added interest. I just loved the floral arrangement on the Mandala Blossoms stamp set, so I stamped it twice, to make sort of a wreath effect. I colored them and then used the Hemstitch rectangle die set (a must have!) to cut it out, and pop it up. For my greeting I used my Spellbinders Hot Glimmer Foil machine, and the dies/foil plates from the February Hot Foil Glimmer of the month kit. On my last card, I stamped the Mandala Blossoms flowers in the corner of a card panel, and colored it with Copics. I used a ruler to draw a line on the back at an angle, and then trimmed out the corner and made a visually interesting angled card. GIVEAWAY: To celebrate this release, we are giving away a $50 gift certificate to 3 lucky blog readers – selected from the comments across all of the blogs in the hop. Giveaway closes on Sunday, February 24th 11:59 pm EDT. Winners will be announced in our blog hop post the following Monday. Winner is responsible for shipping cost, duties and taxes. Hi friends, just popping in to let you know that some very popular sold out Spellbinders kits are back for a limited time! This kit was one of my favorites! 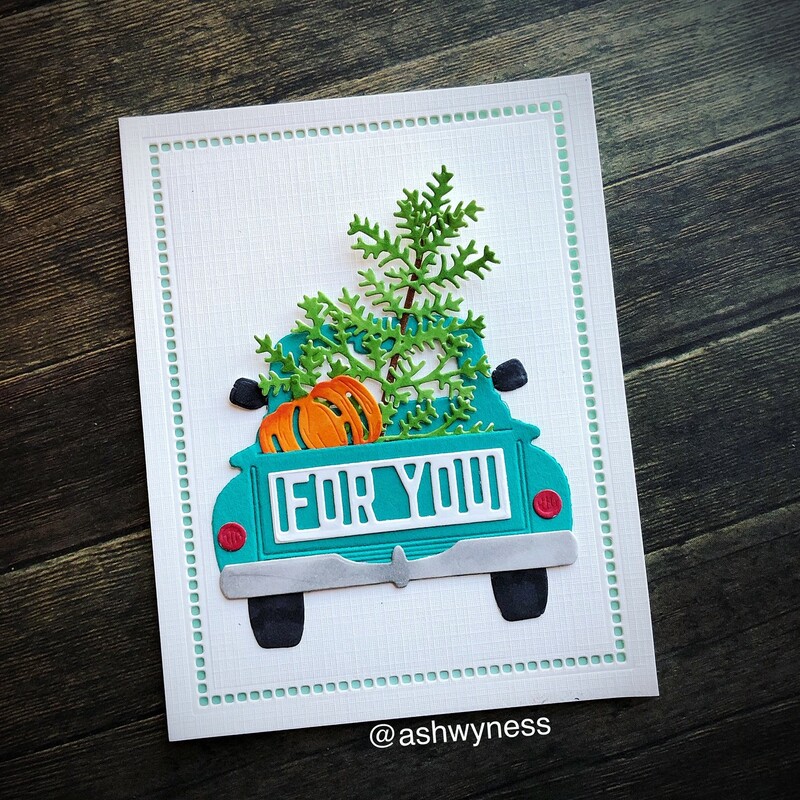 This truck die set is absolutely fabulous! Grab it now before it’s gone! Today I'm introducing a brand new Kit of the month from Spellbinders. It's the Glimmer Hot Foil kit of the month for February! I'm very excited for this because I got my Glimmer Hot Foil machine last fall and I LOVE it. 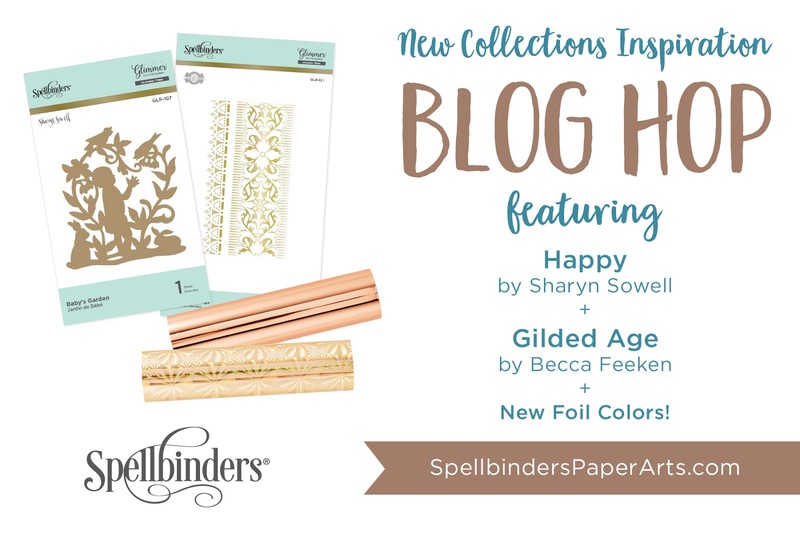 I want more hot foil plates, and I love the idea that Spellbinders is going to offer exclusive designs each month to kit subscribers. This month the kit features something we can never have too much of....EVERYDAY SENTIMENTS. This kit comes with 8 foil plates that are sentiments and two banner dies that coordinate plus a full roll of special Gold foil. I made three cards already with this kit. I normally have a small stash of cards with florals or watercoloring on them and I have no sentiments added. I keep these cards handy in case I need a quick card. Here is a quick little video clip I made showing how I use my Glimmer Hot Foil machine. I used painters tape to create a little hinge with my shim and top plate, and that keeps everything lined up and from shifting. You don't need to do that, but it really helps me. Please see the video below. I made a huge pile of sentiments with this kit at one time and they are at the ready to add to any card. The Glimmer Hot foil club is only $20 per month and that includes shipping. The Glimmer Hot Foil membership subscription includes an exclusive Glimmer Hot Foil Plate Set + One Roll of Foil. You can see all the Glimmer Hot Foil products here. There are a lot of fun products coming soon too! Thanks so much for stopping by today! I love comments! I'm back today to share something really exciting and fun from Spellbinders! It is the February 2019 Card kit...and OH MY, it is jam packed with all kinds of great stuff to make beautiful cards, tags and more! Here is where you can buy the kit: February Kit. It is a great value at $35! You get the cutest Swan die set ever, a 6x6 pad of patterned paper, much of it foiled, tons of foiled die cuts, layered chipboard stickers, cardstock, a stamp set, sequins, card stock, foil card stock, cards, envelopes, foam tape dots, strong adhesive and more! You can check out the unboxing video here to see all the great stuff that you get, for a great price! And now for some of the projects I made with this cute card kit. This elegant card features the main die in the kit..the Golden Swan. It is so detailed and lovely. I changed it up and gave her a pink wing. I backed the card with the tiny foil dot paper included in the 6x6 paper pad...and I even lined the envelope with the pretty paper from the paper pad. The border die is from my very favorite die set from Spellbinders. You can find that here. This card features the main kit die, and some fussy cutting of roses as accents. I once again used the lovely paper to line the envelope for an elegant birthday card. The last project is a tag that I made using the beautiful Golden swan die mounted on a tag pocket die from Becca Feeken for Spellbinders. In addition, Spellbinders offers all the extra items separately (excluding the dies) so if you need to replenish your supplies, you can! Shop for all the extras here! I also made several cards using just the extras. I'll be sharing those in the coming days so be sure to stop in again. I hope you love what I did with these as much as I did! Please leave me a comment below!